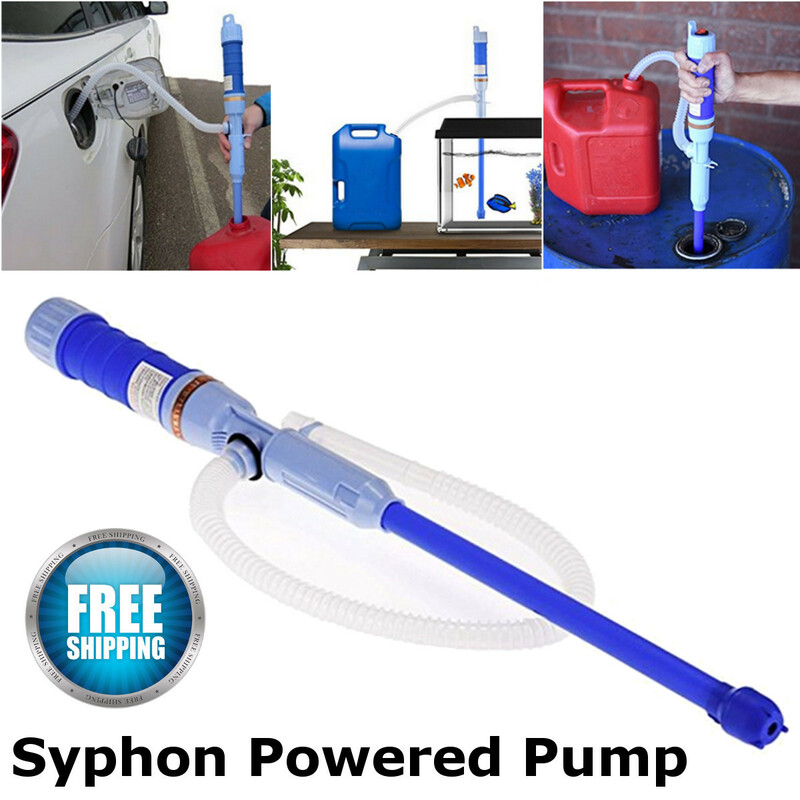 This automatic pump is high powered and is portable and lightweight. You can pump 10 quarts of liquid per minute. Just switch on to start transferring liquid from one receptacle to another. You can easily empty containers with the Liquid Transfer Pump. Pumps up to 9 quarts of liquid per minute. Battery Loading Slot: Simple Twist off mechanism. Simple Power Switch: Switch to on and you're ready to go. Auto-Buzzer: Sounds when pump Automatically stops. Great for pumping any non-corrosive liquids such as Gas, Water (non-drinking) and Oil. It is useful in the garage, basement, bathroom, shop, and yard. The pump pumps any non-corrosive liquid, such as gas, water(not for drinking water), and oil. When finished, keep the pump upright and lift the handle above the pump mechanism to drain any liquid back into the original container. Do Not lay pump down until all liquid has been drained from the tube and pump. Run water through the pump after using it with another liquid. This will rinse the interior and extend the life of the pump.